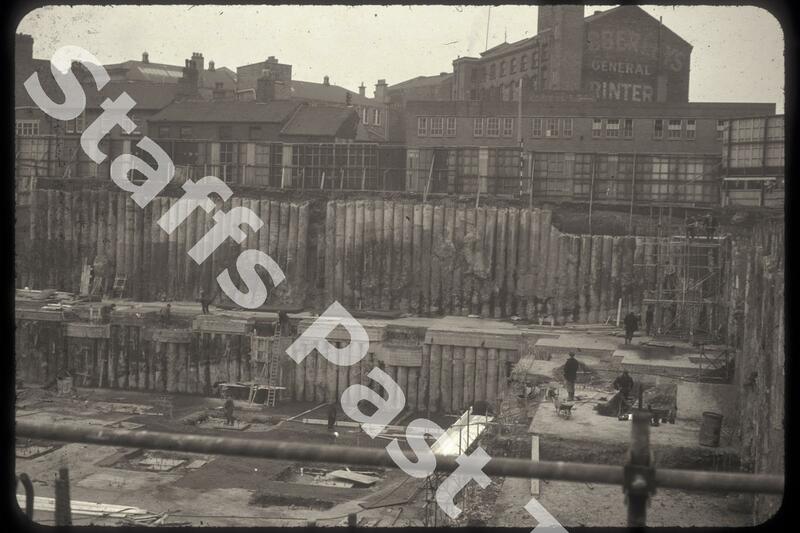 Description:Excavations and foundations for the shopping centre attached to the bus station along Charles Street and Old Hall Street in Hanley. The large building in the background is Webberley's book and stationery shop and printworks (the old Free Trade buildings). The long building in front of Webberley's is the old Hanley Fire Station on the corner of Old Hall Street and Parliament Row, now demolished. 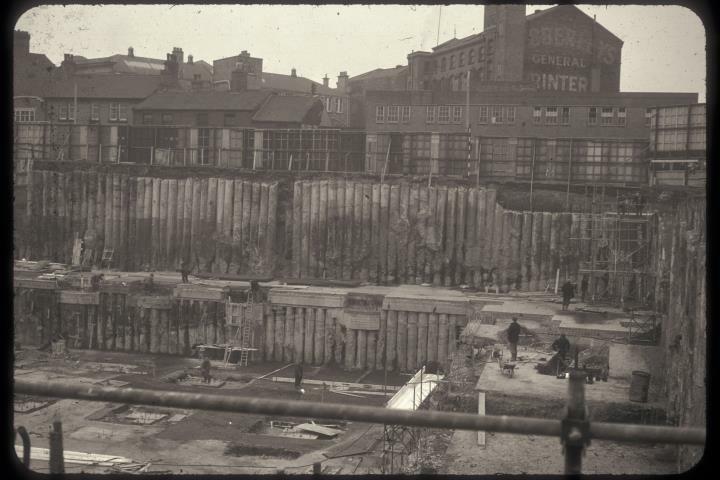 Excavations for Charles Street shopping centre, Hanley.